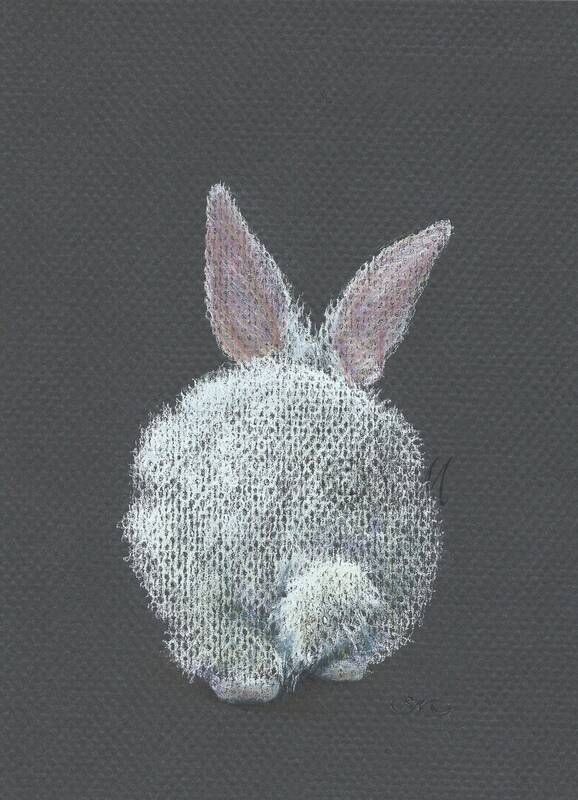 A fluffy white bunny tail ;) on a gray background. The original was done in color pencil in gray toned paper. Available as a card, a 5x7 print and an 8x10 inch print.